Window 8 syncing folders to NAS in one ideal way to make your data safer than saving them just in local storage. And this article will tell you how to do it. 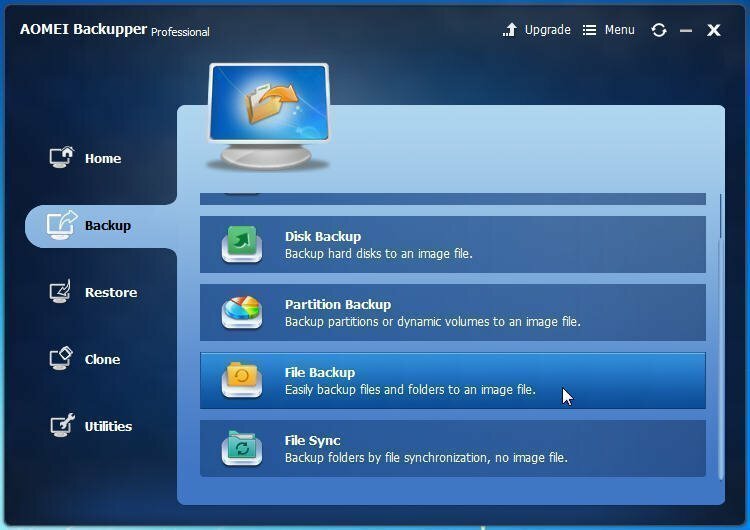 Have you Windows 8 users considered of syncing folders to NAS? Actually every computer user should have a habit of backing up files or other important data for the sake of data security, etc. Most of people might choose the local storage or an external USB as the destination for backups. Well, apart from these, if you have NAS, it could be an ideal storage too. NAS (Network Attached Storage) attaches to the network so that multiple users with different computers can store and share data in a central place. It enables faster data access and provides easier administration as well as a more basic and straightforward configuration compared with file servers. While many NAS owners still have no idea how to sync folder to network drive. Then, the following guide may give you an answer. 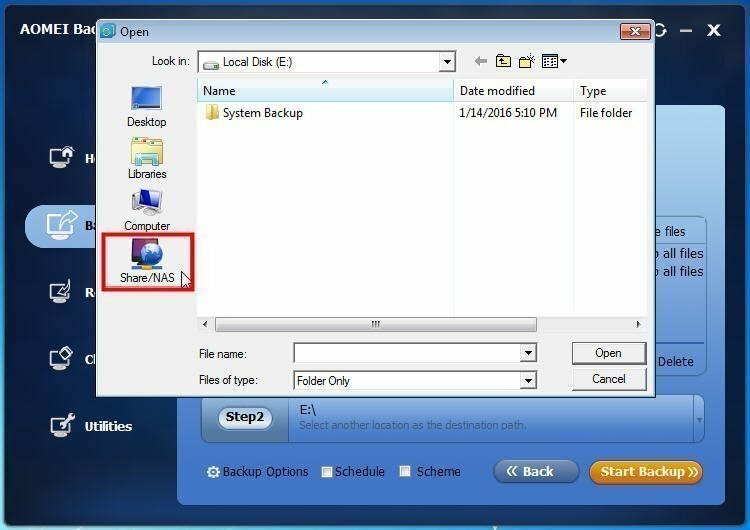 Although there’s a built-in tool in Windows for backup, it won’t allow you to select NAS as the destination path. By this token, you need to employ a third-party software. Here, AOMEI Backupper, best network backup software for Windows 7/8/8.1/10, is definitely worth a try. With its help, you can not only sync Windows 8 folders to NAS easily, but also backup system/partition/disk or any other data to any location within few simple steps. Let’s see how it works. Step 1: Download, install and launch AOMEI Backupper. 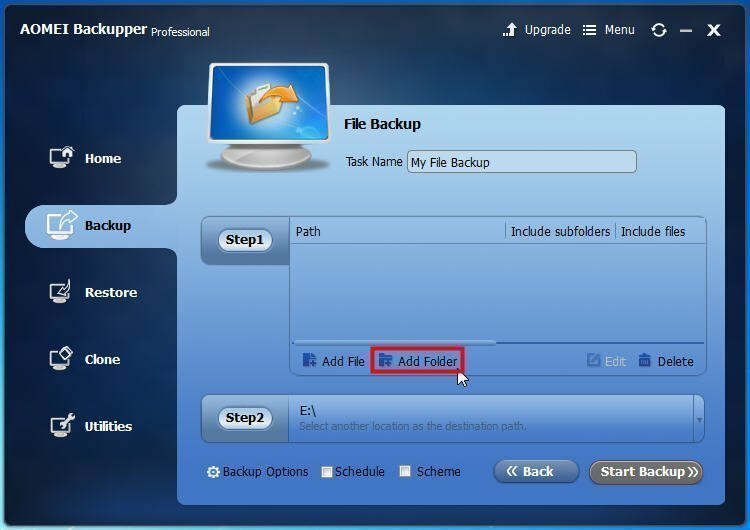 Select File Backup from backup tab on the main interface. Step 2: Click Add Folder. In the pop-up window, select the folder you intend to sync with network drive. Tips:You’re able to change filter settings like inclusion/exclusion mask. 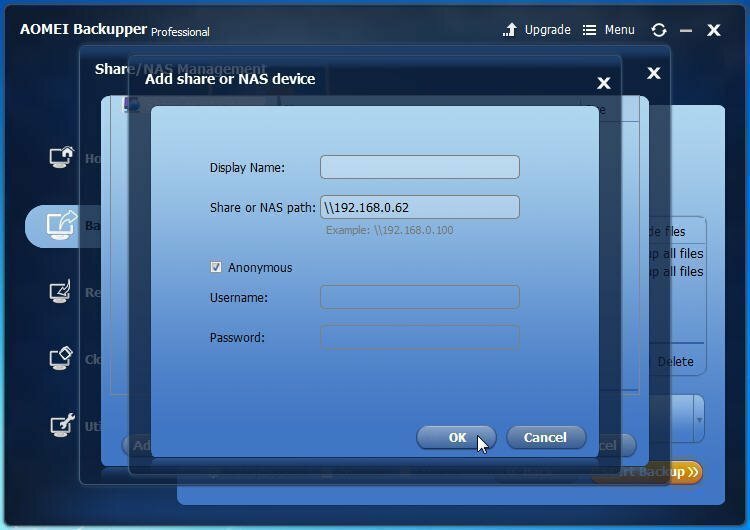 Step 3: Click Share/NAS when deciding the destination path. Step 4: Follow the instruction to add your NAS device. When all settings are confirmed, you can click Start Backup to execute the operation. Plus, more advanced backup options are also available in the bottom as pictures shows before where you’re capable of setting compression, splitting and so on. 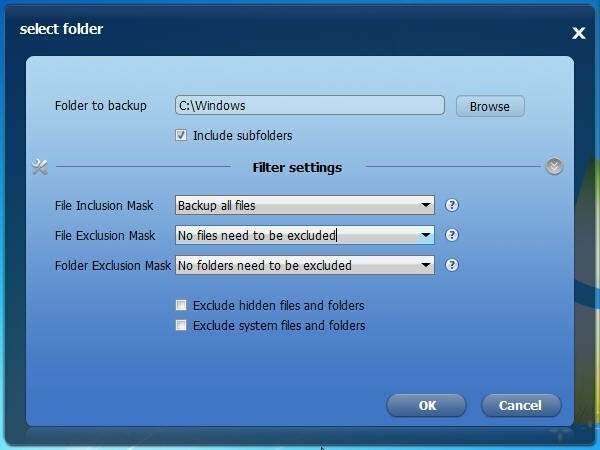 Since it’s necessary for some users to sync Windows 8 folders to NAS regularly, schedule backup is provided.